A magnetic brand is a brand that attracts people and makes them stick. Think about the brands you’re familiar with and attracted to. What is their allure? What is it about the way they are presenting themselves that draws you in? Chances are they portray a certain image that you like to associate with. 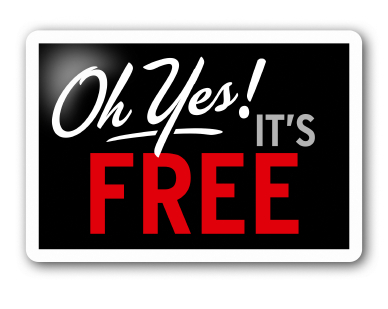 The business has turned on the light-bulb that attracts their target market…you! As a small business owner, you can take this theory and run with it to develop a magnetic brand for your business. 1. Show your personality! Don’t try to come across as something that you are not. In most cases, small business owners would do well to brand their business to their personality. If you’re a straight shooter then brand your business that way. If you’re fun-loving then develop a brand around that. And if you’re a serious type, then use that. Branding your business around your personality makes it much easier to send a consistent and solid brand message. And you’ll be attracting clients to work with that you can easily communicate with and relate to. It’s much easier than trying to build a brand that isn’t you. 2. Identify your ideal customer! Let’s face it… if your business is about mortuary services and you’re a happy-go-lucky or sarcastic individual, the two may not go hand in hand. Consider the feeling and brand image your customers need to trust you and connect with you. The goal is to develop affinity…between you and your brand, and between your brand and your target market. 3. Embrace colors and images that support your personality! Your brand has a voice and it needs to support both you as the business owner and your ideal customer base. Use your logo, colors and graphics consistently throughout your web content, marketing materials and communications. Create a theme and an image you want to portray your business and stick to it so prospects and customers can begin to recognize you. 4. Get out and mingle! Get out online and offline. Participate and get involved. The more your audience sees you the more powerful your brand becomes. Experts say that people need at least seven exposures to a brand before they remember it, which means you need to be out interacting and networking with your prospects and customers to make sure they know you. Online, this is what makes social media such a powerful tool. Seven positive interactions with a prospect create brand recognition and social media done right opens you and your company up to thousands of potential prospects. 5. Take a stand! Figure out what you do best and stick to it. If you try to be all things to all people, you’ll end up being nothing to anyone. Be unique and focus on what makes your business unique, your Unique Selling Proposition (USP). Differentiate your brand around your strengths and your personality. Determine what your brand stands for, and deliver on your promise, every time. Building a brand that is magnetic takes clarity, time, and consistency. Decide what your brand image and message are going to be. Make sure those things fit with your personality and your target audience, then cultivate your brand in everything you do. Ensure that everyone who represents your company is crystal clear about your brand messaging so that everyone is portraying your business with the same voice. Be active online & offline, participate in social networking and media, communicate your brand in your messages and activities and focus on giving your audience what they need and want. While it can be difficult to measure the ROI of branding efforts, the effects of a consistent and cohesive branding strategy can magnetize your business and positively affect your bottom line. We welcome your comments and ideas regarding your experiences in branding your business! Great tips. These should help me really magnetize my business brand. Wonderful elements listed here. My business is thrilled to glimpse your current document. Many thanks considerably that i’m looking towards get in touch with you actually. Do you want to please decrease us a send? Beautiful area of information. I recently stumbled upon your website and in accession investment to express we acquire the truth is loved profile the blog site threads. At any rate I’ll be signing up in your augment as well as My spouse and i accomplishment you obtain correct of admittance to constantly rapidly. 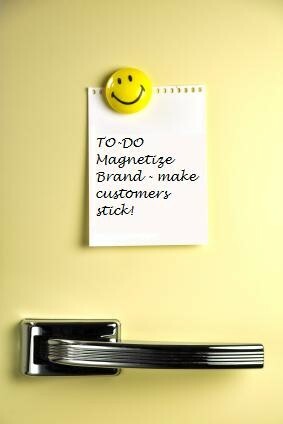 Magnetize the people into your business. Do not chase after them.